This page shows the latest Innate Pharma news and features for those working in and with pharma, biotech and healthcare. The hybrid model. However, ringing true to pharma, innovation comes at a price. ... Making an innate plea to pharma, he urged the industry to “stop thinking binary”. hepatitis B virus (HBV). Strategic. collaboration ‐. development. $445m. Innate Pharma/. ... Acquisition. $244m. Zealand/. Royalty Pharma. Royalty streams and milestones for Soliqua 100/33/. Gene therapy platform - CV diseases. 2, 300. Innate Pharma / AstraZeneca. ... 225. Intec Pharma/ Undisclosed Company. R&D collaboration plus option. Accordian Pill (gastro retentive delivery system). Dr Mondher Mahjoubi, formerly AstraZeneca's head of oncology, has moved to lead French biotech Innate Pharma. 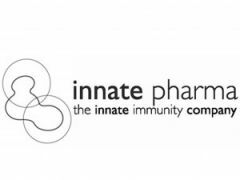 ... Building on a unique and differentiated expertise in innate immunity, Innate Pharma has been a pioneer in immuno-oncology. She has previously held roles at Ablynx, Movetis and Innate Pharma. ... Ablynx and member of the management board at Innate Pharma.